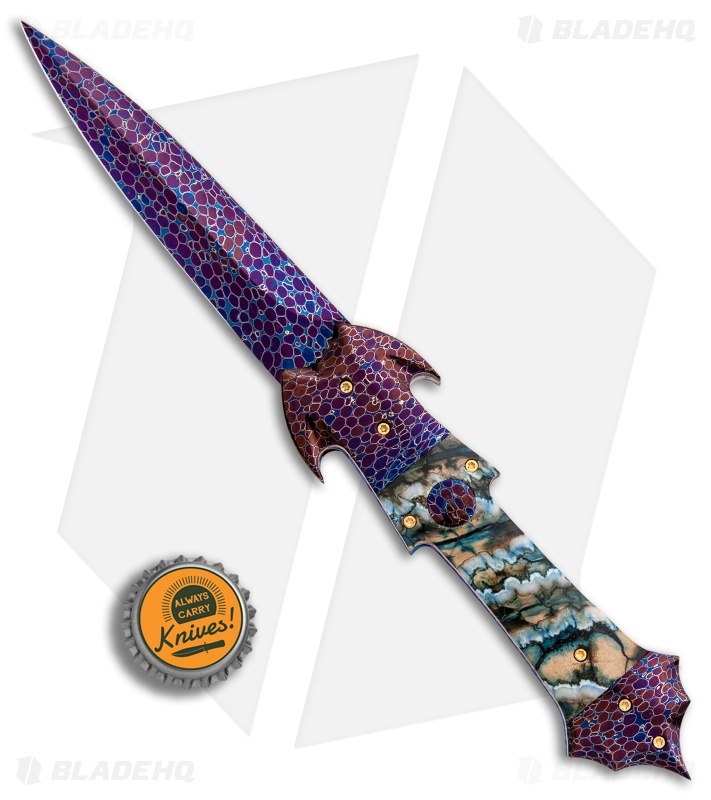 This #2 Small Jupiter is a beautiful automatic knife handmade by Rainy Vallotton. 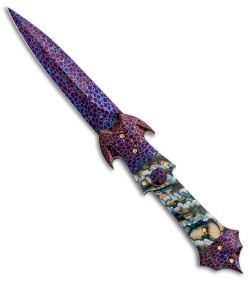 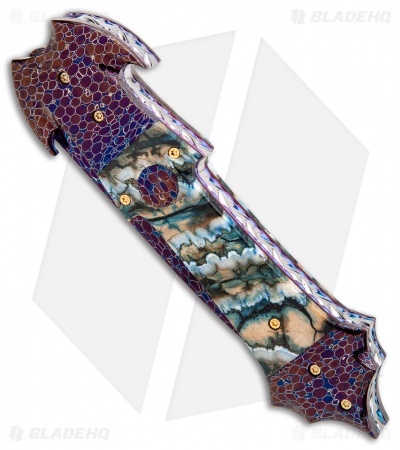 It features a Bertie Rietveld "Dragon Skin" Damascus steel blade and matching Damascus bolsters. 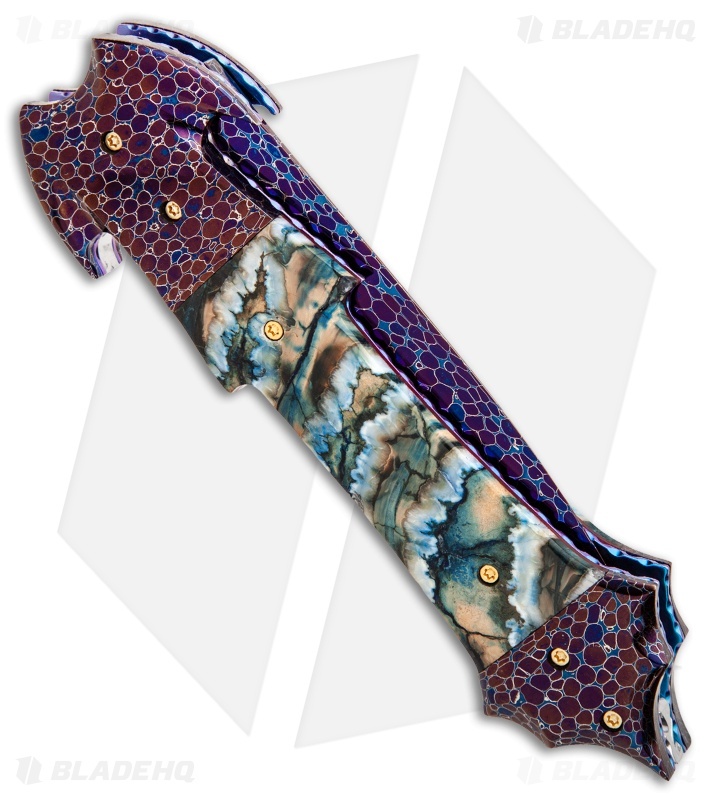 The handle is green mammoth molar with anodized titanium liners and a polished stainless steel back spacer. The knife features file work on the liners as well as the backspacer.